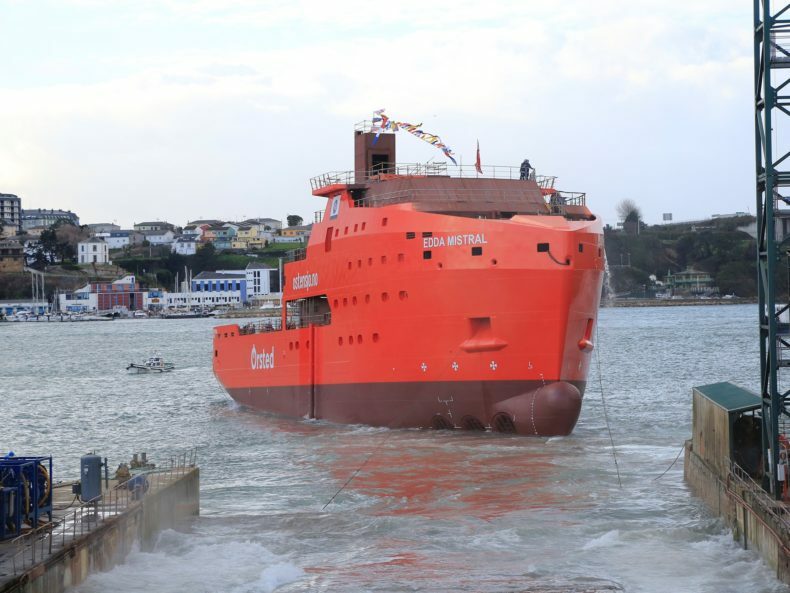 This weekend has been busy for Østensjø Rederi, who named and launched Edda Mistral Friday 2nd February and named Edda Passat Saturday. Both new buildings are purpose-built for Ørsted’s wind farms off the coast of UK. 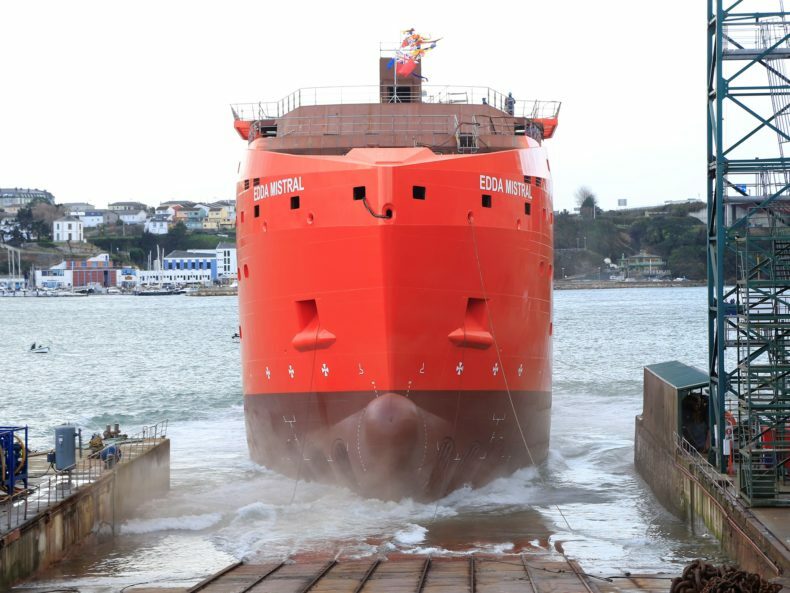 Edda Passat will be delivered last week of February and thereafter start operations at Race Bank wind farm. Her sister vessel Edda Mistral will be delivered in August and operate at the Hornsea 1 wind farm. The vessels have the logistic base and home port in Grimsby, UK. The Godmothers of the vessels are Rebecca Goff, Edda Passat, and Trine Borum Bojsen, Edda Mistral, both working for Ørsted Wind Power. The vessels are built by Astilleros Gondan in Spain, who incl. these two have delivered 13 vessels to Østensjø Rederi since 2005. The vessels are Service Operation Vessels (SOV) that will be used as mothership for the Technicians engaged in maintenance of wind turbines. There will be 40 Technicians living on board in addition to a maritime crew of 20 persons, all in separate cabins. The accommodation is of very high standard and the vessels provide all facilities that the Charterer requires to carry out their operations. The Technicians are transferred to the wind turbines via motion compensated gangway system and the cargo is transferred via motion compensated crane. Alternative means of transfer of personnel and cargo is the large workboat installed on board. 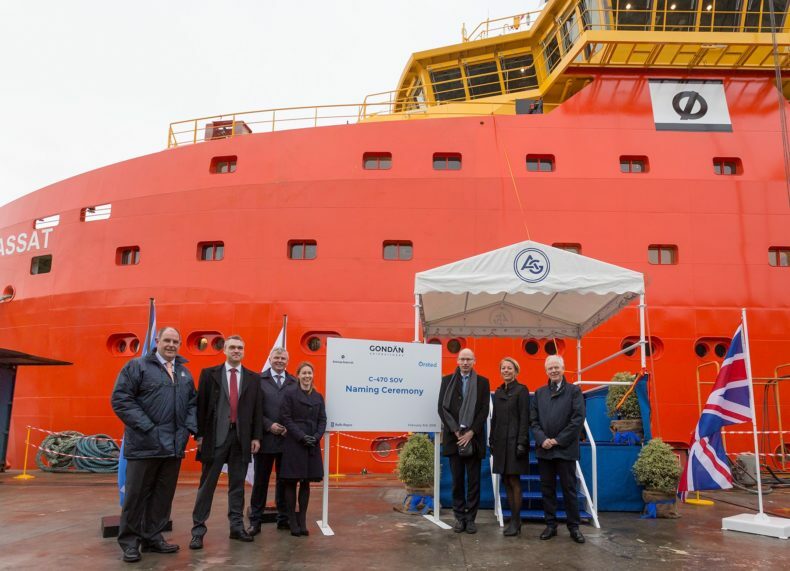 Upon delivery, the vessels will commence their contracts for www.orsted.com with period 5 years firm + 5 x 1 optional years. Østensjø Rederi commenced the operation at Race Bank wind farm in August 2017 and are very happy that the first new build soon will cover the contract. The fact that Ørsted, being the largest Offshore wind operator, have put the faith in us is very important. Østensjø Rederi expects Offshore wind to be a very important part of their operations in the future, says Kenneth Walland, CEO Østensjø Rederi.